With great Fall weather, here's a special update about what the band is doing this weekend and upcoming events. This weekend marks the last time this year that the whole band will appear together. Henry is off to a tour through the Midwest in advance of his annual sojourn Southward in advance of winter. It's the perfect chance to enjoy some Irish ballads and fiddle tunes--outdoors! We'll be appearing at the Irish Snug today at 4 pm for two hours or more of Irish music on the patio. There will be great food and drink specials in this comfortable outdoor venue. We'll appear again at 10:30 pm tonight. 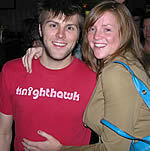 The Hooley supports, in part, The Colorado Humane Society's efforts to save pets following Hurricane Katrina. There will be a mobile adoption booth with dogs for your review, and there will also be the First Annual Capitol Hill Neighborhood Dog Show. The Irish Snug is located on Capitol Hill at 1201 East Colfax. There will be visits by the Jameson Girls and the Guinness Girls during the evening, with drink specials throughout the performances. Compete with your pet in a fun event. Go to the Irish Snug web site for more details. The dog show starts at 2:30 pm. Anyone can enter and there are great prizes. 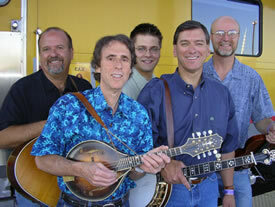 As part of the Hooley, Colorado's premier Bluegrass band, Southern Exposure will appear between 8-10 pm tonight. We'll follow at 10:30 pm. This is a truly great Bluegrass band, and may inspire us to play a bit of it ourselves tonight...don't miss it! There's a Whiskey Pairing dinner and celebration, and Brian will provide entertainment at Summit County's authentic Celtic Pub outside Dillon. It could be a great weekend to view aspen in the high country, stop in for the 8:30 pm show. 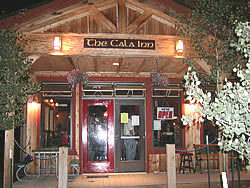 Click on the photo for the Cala Inn web site and driving directions. Look for Brian and Brendan every Wednesday at Fado Irish Pub in LODO; Brian appears every Thursday at Jack Quinn Irish Alehouse and Pub in Colorado Springs (both shows at 7:30 pm) at most Saturdays at The Irish Snug on Capitol Hill in Denver at 8:30 pm.